Nokia has just announced its latest most impressive and advance Lumia device with Windows Phone 8 – Nokia 925. It is the first Nokia phone to use metal in its construction rather than polycarbonate alone. Beside, Nokia also have upgraded the camera among the Lumia 925 which contains 8.7 Megapixel PureView camera with six Carl Zeiss lenses that were functioned best in the dark, in dim light and in bright light. Corning Gorilla Glass 2 protection with PureMotion HD + Clearblack display. In hardware specs, it is almost similar with Nokia Lumia 920. 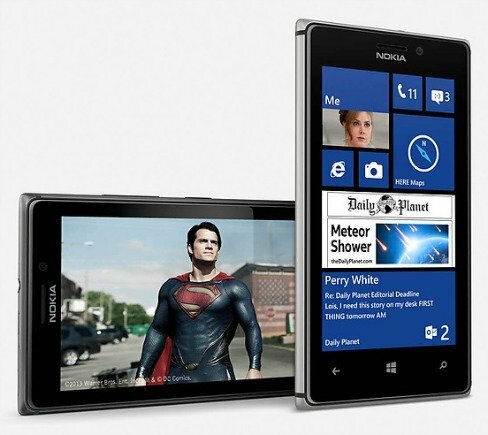 Nokia Lumia 925 runs 1.5 GHz dual-core Qualcomm Snapdragon S4 processors with 1GB RAM. In terms of software, Nokia has also bundled the Lumia 925 with new Nokia Smart Camera mode which lets user take burst shots, best shot and action shot. Lumia 925 is offered in 2 colors which is Silver and grey with a price tag £500 SIM-free. Overall, this model has no other special worthy features to boast of. They just taken much of the main key hardware from Lumia 920, wrapped it up with adding glass lens makes the camera even better, slimmer and lighter the body. Therefore, the cost is considered to be quite high.